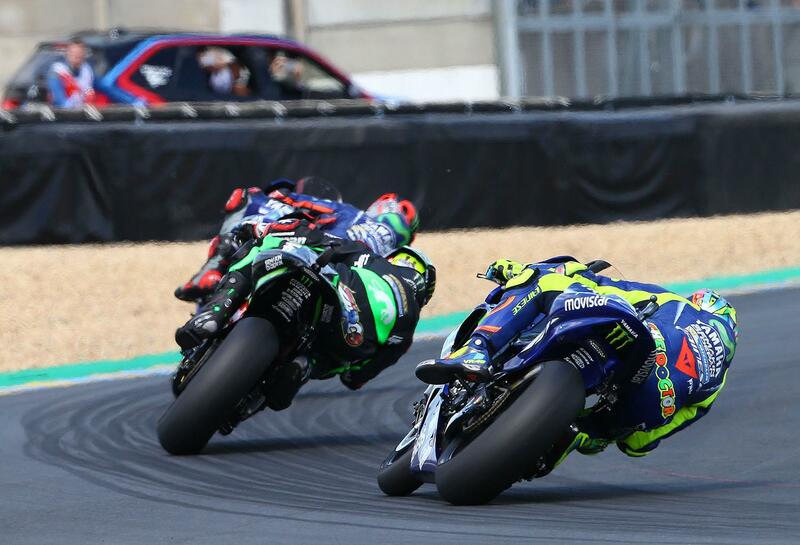 Movistar Yamaha rider Maverick Viñales says he was forced to give it his all during the French Grand Prix to first take the fight to early leader Johann Zarco and then to hold off the attacks of teammate Valentino Rossi in the closing stages of the race. But, taking the victory after a mistake by Rossi in the final corners of the last lap of the race saw him crash out of the race – and do serious damage to his championship hopes in the process – Viñales says the win was a very important one. “Keeping up with Johann in the early laps of the race was hard, he was really fast and with the full tank we were not so strong as him. He was exiting from the corners really good and really fast. Then his tyre started to drop a little bit and our tyre started to work good on the rear, and lap by lap I was feeling better. And despite losing their chance for a Yamaha one-two-three in what was their 500th Grand Prix racing victory, team boss Massimo Meregalli says that it was a day to remember for the Japanese manufacturer.